India is a cash-based economy, so circulation of fake currency notes continues to be a threat. 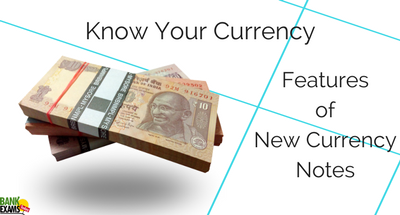 In order to contain the rising incidence of fake currency notes and black money, On November 8, 2016, the government of India announced a historic measure to demonetize the two largest denomination notes Rs500 & Rs1000. According to Reserve Bank of India Act, 1934, The Reserve bank has sole authority of currency management. 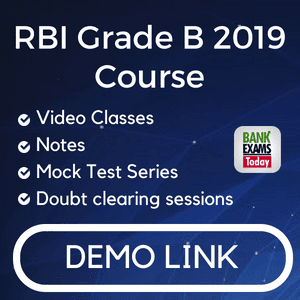 The design and denomination of banknotes are required to be approved by the Government of India on the recommendations of RBI. 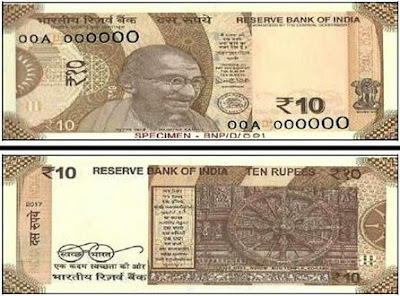 However, there can’t be banknotes in denominations higher than 10,000 rupees in terms of the current provisions of the Reserve Bank of India Act, 1934. Coins can be issued up to the denomination of R1000 in terms of The Coinage Act, 2011. Coins are minted at the four India Government Mints at Mumbai, Alipore (Kolkata), Saifabad (Hyderabad), Cherlapally (Hyderabad) and NOIDA (U.P.). 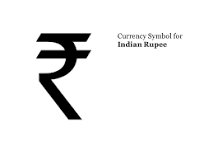 The Indian rupee sign (R) is the currency sign for the Indian rupee, it was designed by D. Udaya Kumar. Currency notes reflect the nation’s rich and diverse culture, her struggle for freedom and her proud achievements as a nation. 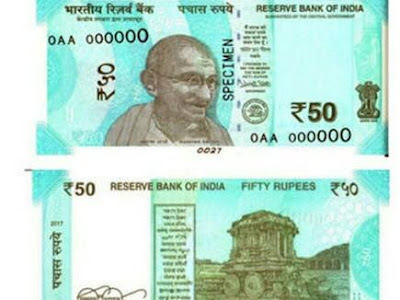 The Reserve bank of India launched a new series of banknotes in a new design in order to bring the identity closer to the cultural heritage of the country and for showing our scientific advances in interplanetary space. The new design banknotes are distinctly different from the old Mahatma Gandhi Series of bank notes in colour, size and theme. The theme of the new series notes is India’s heritage sites. The Numerals in Devanagari and the logo of Swachh Bharat Mission are other elements added in the new design notes. 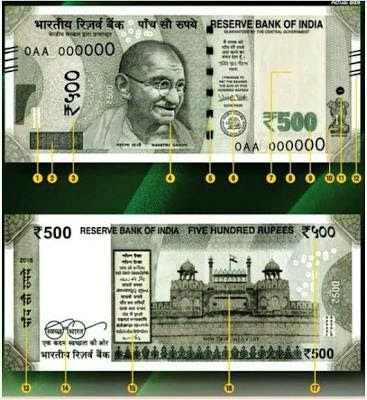 The new notes also have design elements in myriad and intricate forms and shapes. 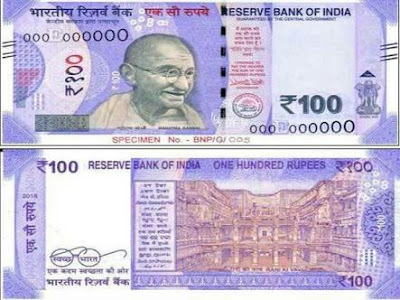 While the security features in the current series of banknotes, such as the watermark, security thread, latent image of denomination numeral, denomination numeral in colour shifting ink, number panels, see-through register, electro-type, bleed lines, etc., continue to remain, their relative positions have been changed in the new design notes. The Security Printing and Minting Corporation of India Limited (SPMCIL), owned by the Government of India, is responsible for printing notes and minting coins. It has printing presses at Nasik in Maharashtra and Dewas in Madhya Pradesh. It also has four mints for coin production at Mumbai, Noida, Kolkata and Hyderabad. 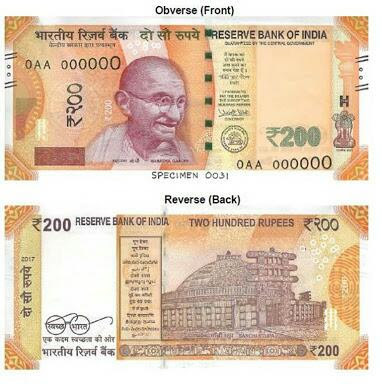 The Bharatiya Reserve Bank Note Mudran Pvt. Ltd. (BRBNMPL), owned by the RBI, also has printing presses at Mysore in Karnataka and Salboni in West Bengal. RBI has selected branches of banks called Currency Chest or (ICMC) which facilitate the distribution of currency. 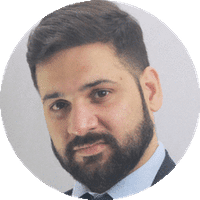 They have been established with State Bank of India, six associate banks, nationalized banks, private sector banks, a foreign bank, a state cooperative bank and a regional rural bank. They distribute notes and coins to other bank branches in their area.